Seattle’s eastside suburbs can blur together into a pleasant mass of good schools, great jobs, and family-friendly neighborhoods. 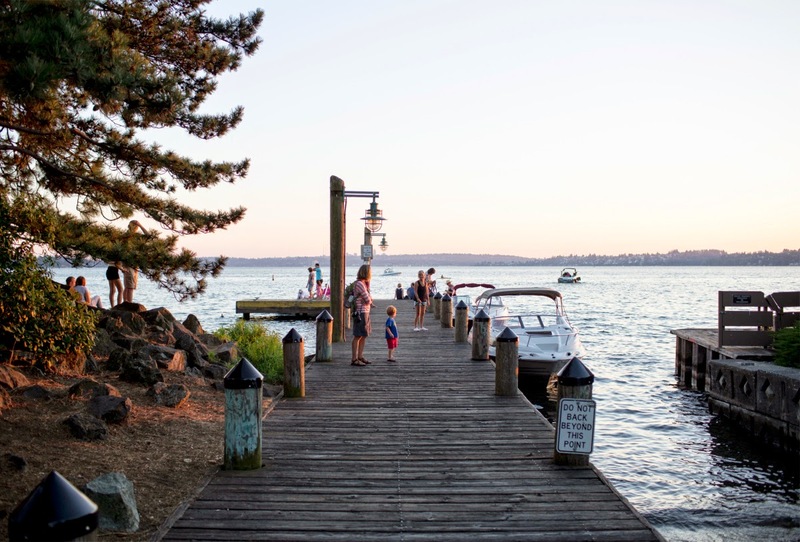 Kirkland, on the other hand, ticks all those ­boxes while also offering a unique, lively downtown on the shores of Lake Washington. You can see the Seattle skyline from Kirkland’s beaches, but there’s no need to go to the big city to have fun. Even on a weeknight, the downtown restaurants are full and the sidewalks bustle. “Kirkland is definitely a hotspot right now,” says Kristi Caggiano, 42, who moved to town 14 years ago. She lives near downtown with her husband and 10-year-old son, and says the family can walk to the farmers’ market, local shops, pool, and library. “The school system is fantastic,” Caggiano says. Her son’s elementary school has a well-attended before-school choir program, and every third-grader has a chance to take a week of swimming lessons. Residents report that Kirkland’s Google office and proximity to Redmond-based Microsoft are luring more young people and families. The search engine giant now employs about 800 people, and has announced plans to double the size of its Kirkland campus by 2015. Go Daddy opened an office in 2013, and the town is seeing new startups take root. The good job market means affordable housing is in short supply. “It’s an issue being addressed, but we’re not there yet,” says Brenda Nunes of Keller Williams Eastside. A three-bedroom home averages $440,000 in the north of the city, but you’ll pay upwards of $700,000 in the downtown and waterfront zip code. Well said! You can view the article (and the full list) here.